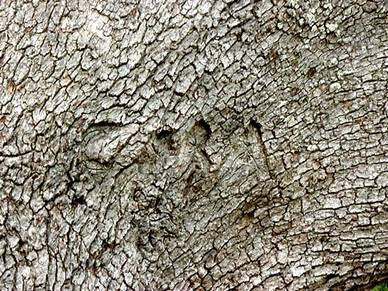 The Legend of the Cora Tree, as reported in Charles Harry Whedbee’s book “Blackbeard’s Cup and Stories of the Outer Banks,” gave me goose bumps and had me shining my flashlight into the trees and bushes as I walked the dogs late at night. 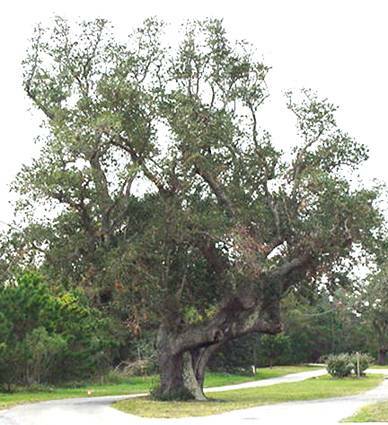 This large tree is located in Brigands’ Bay on Snug Harbor Drive. According to the legend, in the early 1700s, a strange woman named Cora showed up and began living in a crude hut in the forest not far from the Cora Tree. Cora lived alone with no one for company but a baby whom she carried with her everywhere. Folks were suspicious of strangers, but left Cora to her own. At some time, they noticed that Cora was usually in the neighborhood just before misfortune struck. A cow she touched went dry, a little boy who mocked her baby got sick and nearly died and fishermen stopped catching fish, but Cora always seemed to have an abundance of fresh fish. At the same time, the brig Susan G., captained by Eli Blood, who was a longtime resident of Salem, MA, floundered in local waters and Captain Blood and his crew of former slaves from Barbados set up housekeeping and settled in to await word from the owner of the ship. During this period of idleness, Captain Eli determined to find out if the strange woman the islanders described to him was really a witch. There was no tangible proof that Cora was a witch, but then a dead body washed up on a local beach. The body belonged to a local young man and was said to have an expression of “utmost horror” on his face and “his hands were clasped in an attitude of supplication.” The digits 666 were burned into his forehead. Small footprints, like those of a woman, were found leading away from the body and into the local woods. This event is reported to have “set Captain Blood’s resolution on fire” and he captured Cora and her child and tested her to determine if she was a witch. Cora was bound and thrown into the sound where she floated in the shallows, face down. After removing Cora from the water, Captain Blood tried to cut her hair, but said he failed to do so because her hair “was tougher than wire rope.” The facts that Cora floated rather than sank and that her hair could not be cut were characteristics of a witch. As a final test, he and his crew members pricked their fingers and put droplets of blood into a bowl of water which was stirred until it frothed. Captain Eli then proceeded to read the liquid in the bowl and pronounced that Cora was, indeed, a witch. Cora was then tied to a large, live oak tree with her baby in her arms and a large pile of dry branches were spread about her feet. At this time, a Captain Tom Smith told Captain Blood that he would not allow the execution of Cora and her child. He would see that civil courts on the mainland handle Cora. Before Captain Blood could reply, the Cora child turned into a huge tawny cat with green eyes and a red mouth and fled into the woods. Too stunned to speak, Captain Blood approached the tree to light fire to the wood when the sky, previously clear and sunny, was covered by a great cloud. A loud clap of thunder sounded and “there flashed a blinding bolt of lightning.” The lightning struck the tree to which Cora was tied and a great amount of smoke was created.